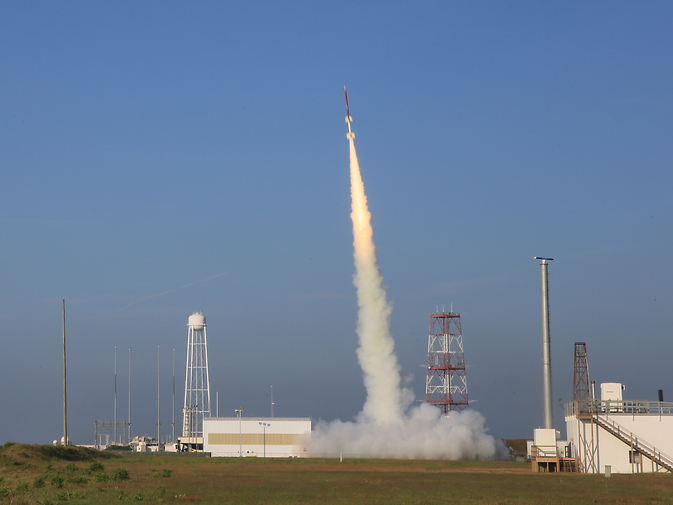 The sounding rocket carrying the 2014 RockOn student-built payloads launches from the Wallops Flight Facility. 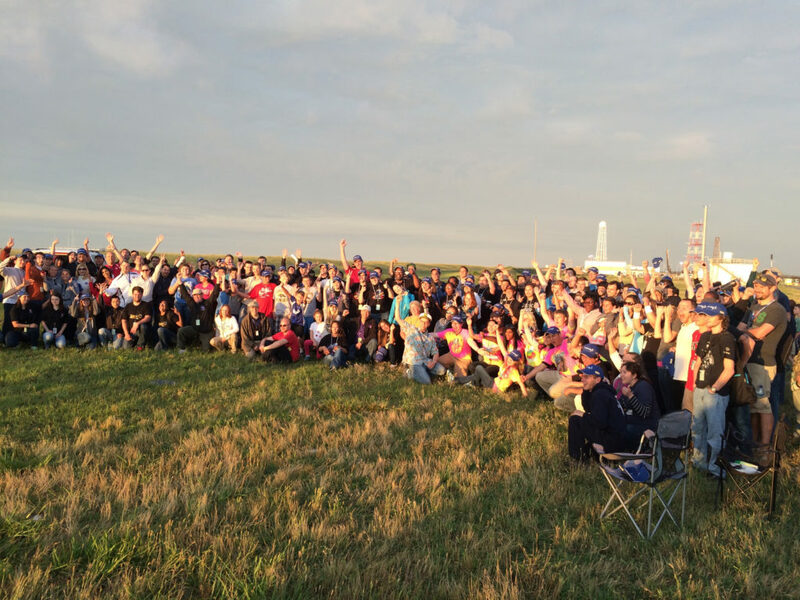 June 15, 2016 – During Rocket Week, held from June 18-24 at NASA’s Wallops Flight Facility in Virginia, nearly 200 university and community college students and instructors from across the country will build and fly experiments on a NASA suborbital rocket through the RockOn! and RockSat-C programs. Another 20 high school educators from the eastern United States will examine how to apply rocketry basics into their curriculum through the Wallops Rocket Academy for Teachers (WRATs). The week ends with the students launching their experiments on a Terrier-Improved Orion suborbital sounding rocket at 6 a.m. EDT on June 23. The rocket will carry 22 experiments from the RockOn! program, nine experiments from the RockSat-C program and more than 80 small cubes with experiments developed by middle school students in 49 states as part of the Cubes in Space program, a partnership between idoodlelearning inc. and the Colorado Space Grant Consortium. After flying to nearly 70 miles altitude, the payload will land via a parachute in the Atlantic Ocean where it will be recovered. The participants are expected to have their experiments in hand later in the day to begin their data analysis. WRATS works with high school teachers to show them the basics of rocketry and how to take what they learn into the classroom. The 20 participants from Virginia, Maryland, West Virginia, New Jersey, Pennsylvania and Washington, D.C. will receive instruction on the basics of rocketry including Newton’s Laws, electronic fundamentals, drag and propulsion. This instruction will be applied to hands-on learning activities including building and launching model rockets. The RockOn!, RockSat and WRATS programs are supported by the NASA Sounding Rocket Program. RockOn! also is supported by NASA’s Office of Education and NASA’s National Space Grant College and Fellowship Program in partnership with the Colorado and Virginia Space Grant Consortia. The NASA Visitor Center at Wallops will open at 5 a.m. for viewing the launch, which is predicted to only be visible in the Wallops area. If needed, the backup launch day is June 24.